Time is money and money is time. When it comes to running your WordPress agency, anything that you can automate or delegate will help you focus on what’s important: website builds and client management. Your development hours matter. DigiSavvy is a Los Angeles-based digital and web services agency, specializing in custom WordPress development, and B2B email automation and marketing. We recently reached out to Alex Vasquez, Principal and Co-Founder, to discover how StagingPilot has improved their workflow. StagingPilot’s mission is to bring artificial intelligence backed by humans who care. 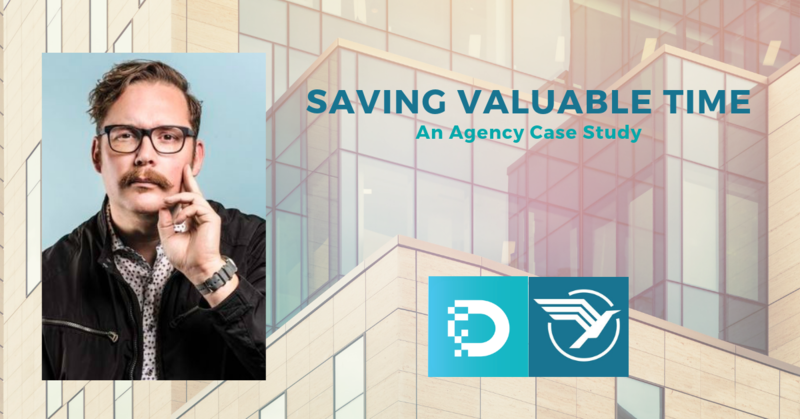 We care that Digisavvy saves over 50 hours a month by using StagingPilot — leaving them time for client projects that bring in money. What was your workflow before StagingPilot? On average we would spend about 30 minutes (or more) on a single website update per week. We have about 26 websites we actively maintain. Assuming nothing went wrong, we would spend about 13 hours per week on updates. But something always went wrong. For most of our sites, we host them on Pantheon, which is great because they provide built-in dev/staging. So it’s easy to test before deployment and catch issues before they go live. What was the main workflow obstacle that lead you to choose StagingPilot? Paying a person to do updates, when you think about it, is probably one of the worst uses of their time, in my opinion. I believe that because I’d rather pay someone for doing actual production work or learning something new rather than doing a repetitive task. I tried a number of other WordPress-based services to help manage updates like MainWP, or InfiniteWP but those services were kludgey and unreliable and didn’t actually do what I wanted to have done: automagically update sites without breaking them. I sorta know the guy behind the curtain. He’s a good egg. We’ve worked together over the years. He’s a great colleague and friend. What were the noticeable results after implementing StagingPilot into your workflow and business? There was a lot less ‘hands on’ and our focus was drawn to places where it was genuinely required (something was actually broken). I was able to put a person onto other work that was more meaningful to the business. It’s not only something I don’t have to worry about but It’s a value add, too, when pitching clients on maintenance plans. Oh and money! Remember how I said we spent about 13 hours per week on updates? I had to pay someone an hourly rate to do that job. StagingPilot helped me recoup about $2200 per month and about 52 hours per month! I don’t know how other WP-focused agencies do it, but my guess is they’re either paying someone hourly to do it or, because they can’t afford to pay someone else to do it, they’re doing it themselves (which is still valuable time). We know Otto doesn’t take vacation, but where would you send him if you could? Thanks for your time, Alex, and we’d love for Otto to take you out for your favorite beverage — he’s low maintenance and doesn’t drink. How can we help your business save valuable development time? There’s no time like the present to reclaim your work-life balance. Schedule a demo today. Previous Post: Everything you always wanted to know about StagingPilot but were afraid to ask.